The headphone market is growing. There are exciting new high end models available. But one thing remains unchanged - STAX headphones are still one of the most appealing offers in the high end market. STAX is astrong brand with a long history. And we are convinced also with a bright future. Many audiophiles regard the SR-007 and SR-009 as the best headphones in the world. 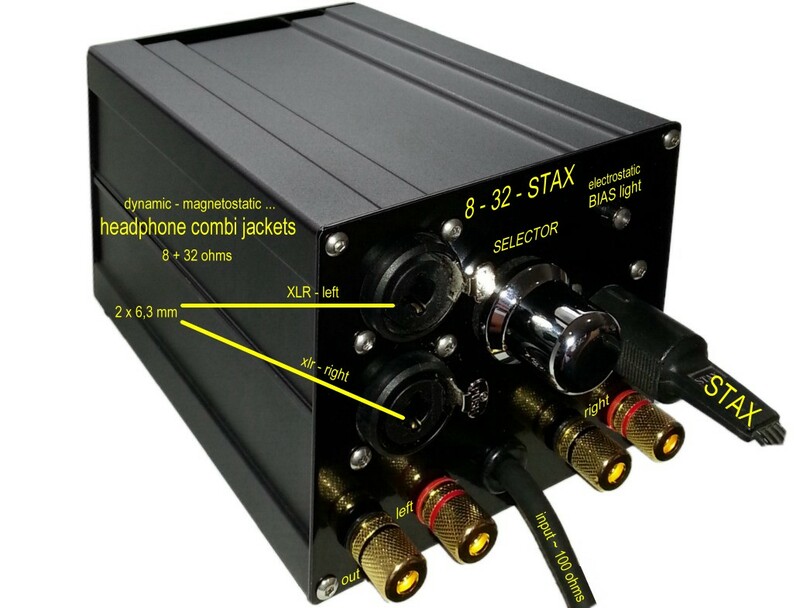 So what about the amplifier offerings for STAX headphones? In case of a dynamic or planar headphone you have the choice, new headphone amps are announced every month. For STAX the market is different. You can choose the simple way and just order a STAX headphone amplifier. If you don`t like their sound, you tend to prefer something individual or look for one headphone amplifier driving your collection of STAX and also dynamic models the amount of options is very limited. Based on web research you will find a very few and also very expensive high end especially in the US market - often without distributors for other regions. But who is offering a heaven`s gate model which is affordable and which can be used also for dynamic models ? This gap is now filled by our new electrostatic STAX box called VERTO - design and produced by AudioValve. 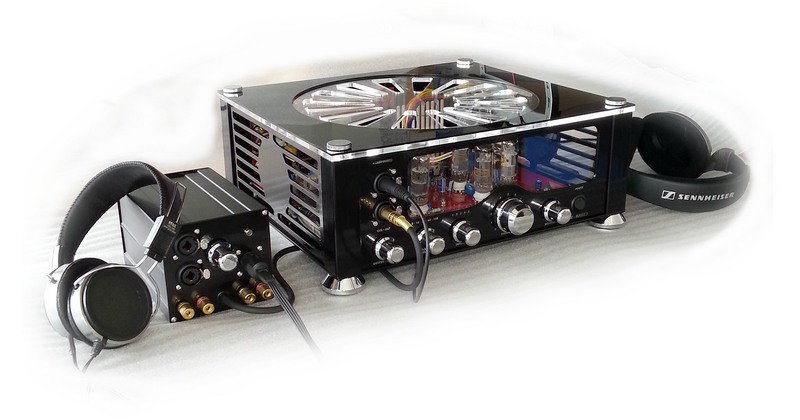 The passive box can be used together with AudioValve RKV II and RKV III tube based headphone amplifiers. There was a simple idea behind the VERTO. 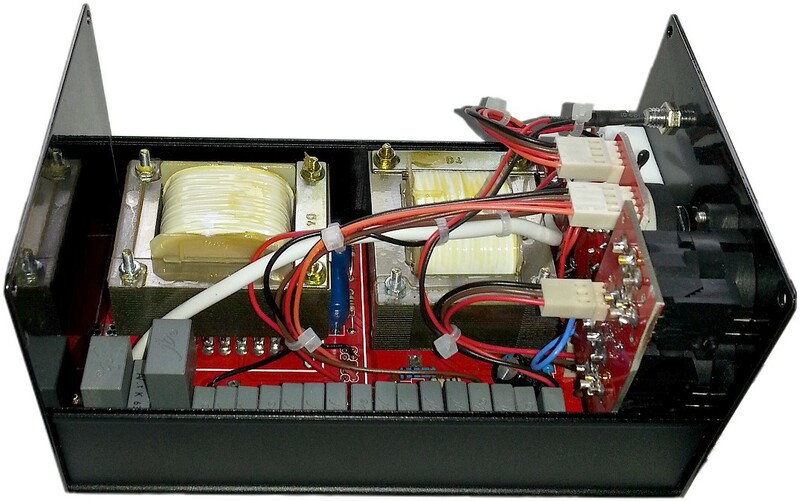 Why not use the transformer in step up mode to produce the high voltage for the STAX electrostatic headphones? The RKV models use one transformer per channel (impedancer) to drive low impedance headphones (< 100 Ohm). In the RKV III the transformers are mounted inside the case, for the RKV II the impedancer can be bought as a separate box. RKV II and III are regarded to belong to the best sounding headphone amps regardless of price, see many reviews all over the world. For a game changing product a simple idea is not enough, you have to find also a proper implementation. There are already promising approaches in the market combining transformers with headphone amps to drive STAX headphones. 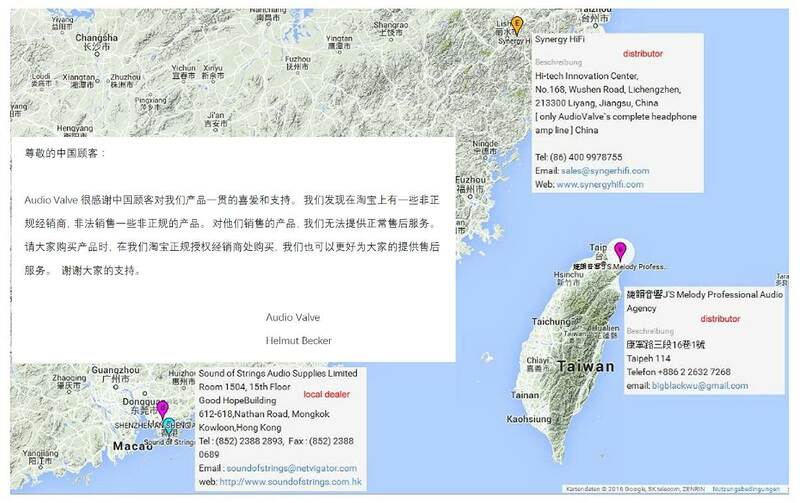 But RKV and VERTO are now exploiting the full potential of that approach. Inductance and capacitance of the transformer can harm the sound. The Pikatron output transformers we use have only very little stray inductances and capacitances. To avoid distortion we use only a low step up ratio of 1 to 5. But key is the fact that the output impedances of RKV II and III are extremely low, too low to cause any negative effect on the sound. 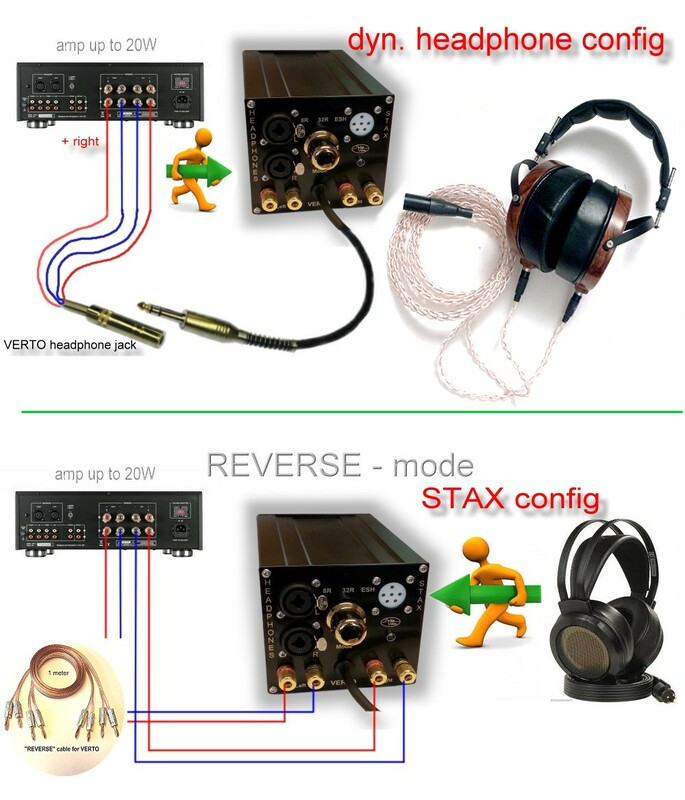 The VERTO supports the current STAX PRO plug with 580 V DC bias as well as the former bias of 300 V used by older STAX headphones. The higher PRO bias uses a 5 Pin connector, the 300 V DC bias can be identified by a 6 Pin headphone plug at the end of the headphone cable. So the VERTO is suitable for all STAX models. The VERTO has is connected to the headphone amp with a phone cable and standard plug coming with the VERTO. There is nothing to buy for you in addition to the VERTO. Also the VERTO does not require a separate supply voltage. This ensures that there is no interference and hum caused by main connection. The RKV III has to be switched to the OTL mode when driving the VERTO. To increase the versatility we implemented a switch for 8 ohm as well as 32 ohm. So you can connect high efficient loudspeakers as well as headphones with low impedance. Feel free to drive mobile headphones designed for Apple devices as well as low impedance high end planars like Audeze or Abyss. Check to drive your high efficient loudspeaker with your tube and transformer based RKV and VERTO chain! Since the connection of the VERTO to the headphone amp is implemented via a standard phone plug you can use it also with other headphone amps instead of the RKV II and III. You will achieve very good results in the case you use a headphone amp with low output impedance and a high output voltage. We doubt that you will get to the same ultimate sonic quality as with the RKV models. The RKV II and III are able to deliver 100 volts peak-peak drive. We use only high quality components in the box. 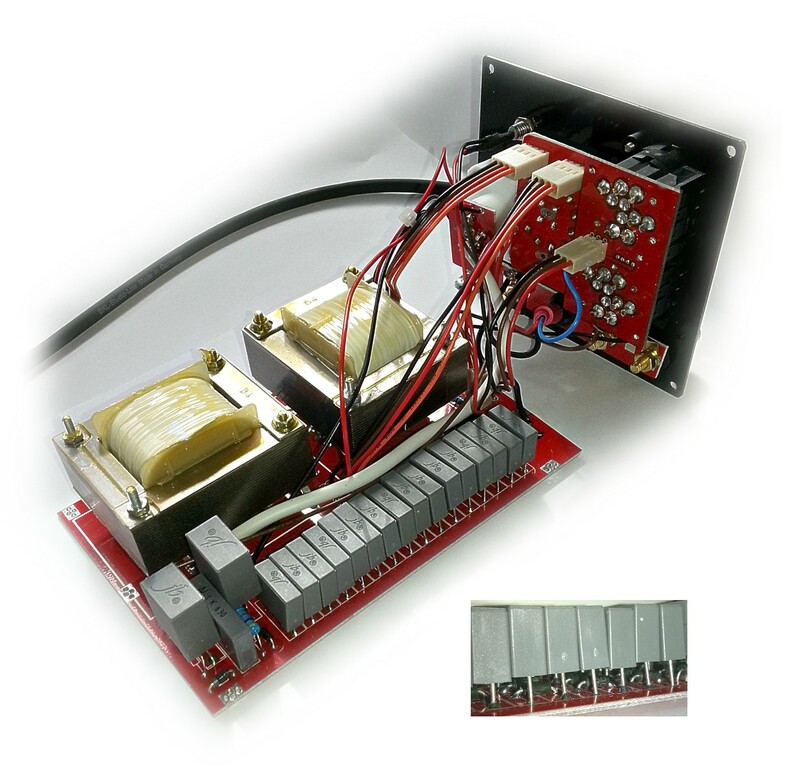 The Picatron transformers are built based on our specifications. 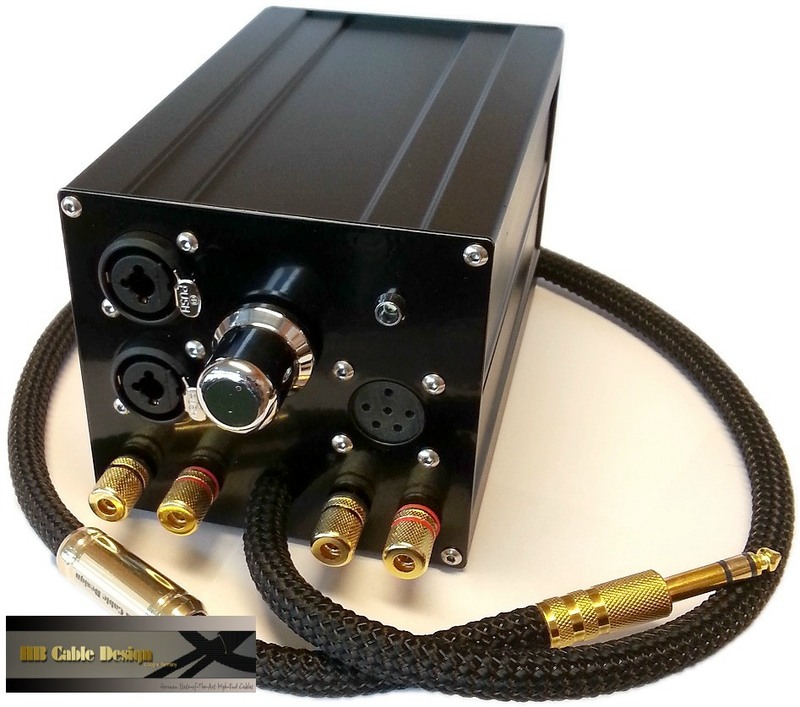 For wiring the main audio connections to the sockets of the headphones and the STAX female socket cable we use a well-known German high end audio cable manufacturer by the name of HB cable design from Cologne. The core of the cable is made of silver-plated oxygen-free copper conductors stranded several times. How to setup the AudioValue VERTO to achieve true high-performance from your Dynamic, Planar Magnetic and Stax headphones from one system. Helmut Becker of AudioValue has designed a unique passive device called the VERTO. The VERTO will allow you to use your existing components and setup one system that will be capable of driving your dynamic, planar magnetic and electrostatic headphones to peak performance. The VERTO is a passive device (no power supply required) powered by the signal from the power amplifier. This allows the VERTO to be transparent as it will yield the true sonic signature of the power amplifier and other components you use in the system. This is a huge advantage over dedicated amplifiers for your Planar Magnetic or Stax headphones as they can be very costly and many are overpriced yielding less than optimal performance. But with the VERTO you have no limit as you may use it with your favorite high-performance power amplifier(s) and other components to achieve superb results driving any type of headphone. Below is my recommended system setup with the VERTO. In this configuration there are no sonic compromises in terms of which headphones you use with the system as Dynamic, Planar Magnetic and Electrostatic headphone all perform superbly. First off, to achieve the absolutely top performance from the VERTO and the rest of the components in your system it is extremely important to use vibration control and properly designed system cables for all the components in the system. These two very important and over-looked �components� will for lack of a better term �double or �triple the capabilities of the collective components very notably improving the overall system performance. 8R (8 ohm resistance) is for Dynamic Headphones. 32R (32 ohm resistance) is for Planar Magnetic Headphones. ESH (Electrostatic Headphones) is for the Stax or similar headphones. With rigorous testing I have determined that the VERTO drives the Stax and the higher impedance HiFiMan HE5/6/1000 and Audeze headphones extremely well when both types of headphones are set to the ESH setting. With the HiFiMan and Audeze headphones, it is somewhat splitting hairs as they still sound great on the 32R setting (the intended planar magnetic headphone setting) but I eventually heard slightly better dynamics with them on the ESH setting. Try both as you may find both to be equal or the 32R setting better suited for the planar magnetic headphones you use in your particular system. Another important aspect of the VERTO I have learned while testing is the lower impedance Audeze headphone and all the Dynamic headphones did perform better than when connected to the VERTO when instead using a high quality headphone amplifier (which can produce 1 watt or more of output) connected to the pre-amp outputs of the high quality integrated tube or SS power amplifier � the same amplifier in which the speaker outputs are connected to the speaker inputs on the front panel of the VERTO. - Choose and use any source(s) you prefer: CD, Vinyl, Streamer, Reel to Real etc. 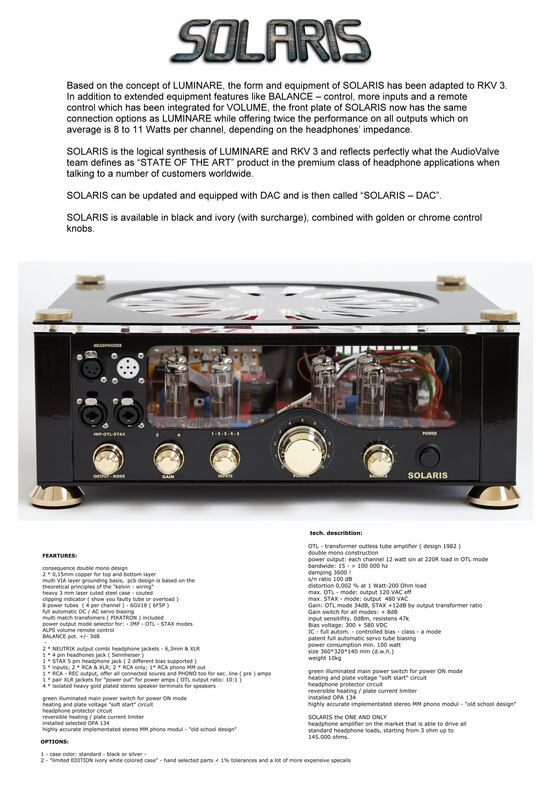 - Connect your source(s) to one high- performance integrated tube or solid state power amplifier. - Use the speaker outputs of the integrated power amp you have chosen and connect your speaker cables to the speaker inputs on the front panel of the VERTO. - Your system is now setup so you can connect your high impedance Planar Magnetic and the Stax headphones to the front panel of the VERTO. The volume will be controlled by the integrated power amplifier. - Now use your headphone amp to drive all your Dynamic and low impedance Planar Magnetic Headphones by doing the following. If your integrated amplifier you have chosen for use with the VERTO has a tape output, connect your headphone amplifier with interconnects to the tape outputs and use the volume control of the headphone amp. to make volume adjustments. If your integrated amplifier does not have a tape output, connect your headphone amplifier with interconnects to the preamp. outputs of the integrated power amplifier. If you are using the preamp outputs, set the volume control on the integrated amp. at a low setting and control the volume by the headphone amplifier volume knob. - Now connect your headphone amplifier with interconnects to the preamp. outputs of the integrated power amplifier you have chosen for use with the VERTO. Use your headphone amp to drive all your Dynamic and low impedance Planar Magnetic Headphones.The volume can be controlled by the headphone amplifier and/or the integrated power amplifier. You can try any headphone amp. you prefer (other than one that produces an output of 1 watt or higher) and test the results as the performance of this headphone amp. in your system might prove to be excellent as well. Verto - that universal genius - can handle 6 different mode. show you the excellent transmission properties of the VERTO used on a STAX headphone connected to the output of the RKV Mark 2 as driver. When you connect the speaker terminals to any transistor amp in reverse mode you can use STAX headphones too. 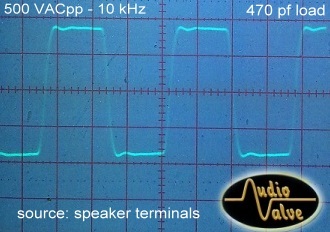 Below, my last post to reply a custumer question about RKVII and RKVIII for JPS labs Abyssheadphones. "With Abyss on Mark III I have choosen several set up." - It 's possible to "play" with 8-16-32-64 or 128 output based on the tastes of the listener. I prefer for my personal listening sessions impedancer in 128 ohms mode. Verto consists of an impedancer and a bias circuit to generate the DC voltage for the diaphragm of electrostatic headphones. The impedancer is built around a transformer for each channel matching the proper relationship of current and voltage to low impedance headphones. The bias circuit is needed only for electrostatic headphones. 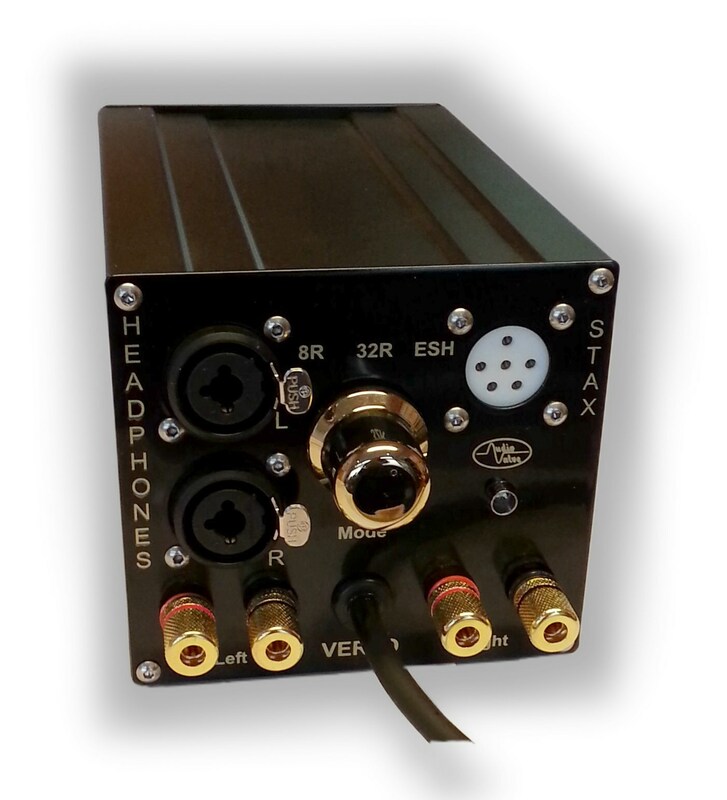 They require a DC bias voltage for their diaphragm � older Stax models require 280V, newer ones 580V. 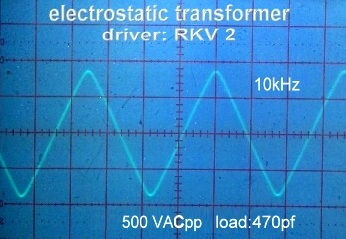 Verto leads the input signal not only to the transformers but also to the bias circuit, starting with a voltage multiplier being able to generate 1,2 kV. Two Zener diodes are used to ensure the two specified DC voltages (300V, 580V). Capacitors are used as storage to ensure a continuous bias independend from the actual level of the input signal. An isolation diode prevents that the stored energy in the capacitor is lost. Immediately after Verto receives an input signal it starts to play. You can immediately listen and enjoy since Verto will sound just from the beginning loud and in very good quality. The best indicator for the existence of the bias is the fact that the connected STAX headphone is playing music. Without bias the Stax would just not work, meaning no noise out of the headphone. Depending on the input level Verto needs around 2 - 5 minutes to establish the bias absolutely stable and to initially fill the energy storage. So please do no critical listening with STAX headphones during the first minutes. So Verto is very similar to all your other tube and transistor equipment, they need a few minutes to deliver their best performance. The bias LED at the front panel is a pragmatic tool to visualize whether Verto is loading the high voltage storage for the bias. Please keep in mind that the LED is not indicating the bias voltage itself. There is no need to obey the light. It is only relevant for those who want to know what is going on inside. Depending on the input level after some minutes receiving a signal the LED will light and so indicate that the storage is being filled. After some listening time of around 30 � 60 minutes the light will become darker since the capacitor is getting completely filled, so the charging decreases. The capacitor storage ensures that the bias remains stable for at least 60 minutes after the input signal stopped, since there is no unloading because of the isolation of the storage through a diode. turn on the mode switch for "STAX" ( right pos. ). Now you can enjoy VERTO box with your own highend semiconductor amp. Also for headphones enthusiasts wanting to enter for the first time the wonderful world of electrostatic headphones Verto is a high end option enabling you to leverage your existing components � e.g. 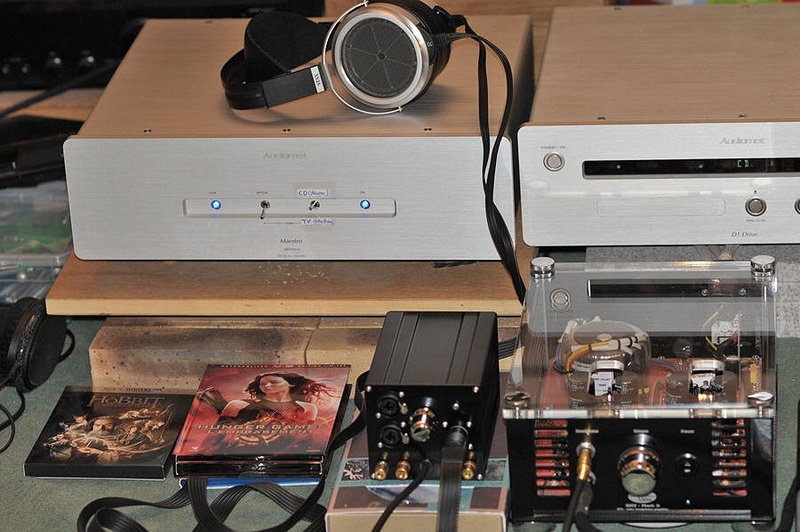 headphone amps, integrated as well as power amps. So only a small investment is needed. The little investment should not mislead about what you can expect: driven properly Verto enables you best sonic results for your headphones regardless of price. That is at the end the wondrous and very special story behind Verto. For about 3 years headphones are very popular again in all price ranges. On the precise reasons why this is so, I will not go further at this point. However, but on some device-related deficits on the market that were somehow not really perceived in this way in the past by anyone, but possibly also the commitment to quality was not requested. The best part - also for electrostatic headphones, such as the STAX. What can VERTO what my amp too could not ?? Quite simply, this transistor usually has too much power and so you can not come within the ears are usually series resistors in the supply line of your headphones - jack on your amplifier. This degrades the damping factor to a degree that you, the sound will appear as blurry and washed out. With VERTO on the 8 ohm pole terminals of your amplifier will not happen this. VERTO transforms the signal down to a level that the headphones - impedance is adjusted without substantially sacrificing cushioning. You will notice that the sound quality rise up dramatic. But that's not all, VERTO can do even more. A great and safe new experience is the use of electrostatic headphones, such as STAX. Also in this case, you VERTO help. Just as with dynamic headphones you shoot VERTO to 8 ohms binding posts on your amplifier. VERTO transforms the signal voltage up to values that your STAX - revives headphones to peak performance. This VERTO also generates the force required bias voltage to drive the foils at 300 VDC and 580 fully automatic and stabilized. You do not need any additional drivers for your STAX headphones, VERTO does it for you to your existing equipment autonomously while saving you money on additional purchases on this topic.